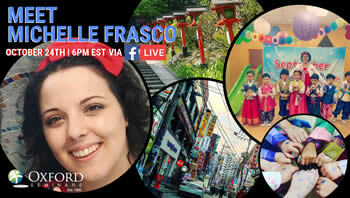 Everyone’s experience teaching English abroad will be different depending on where they choose to go. 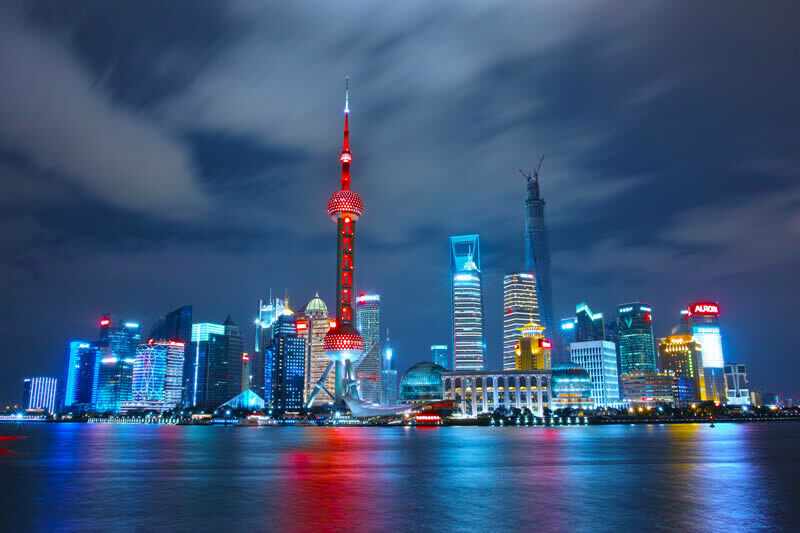 My partner and I decided to teach English in China, and one of the first steps on our adventure was finding a place to live in our new country. 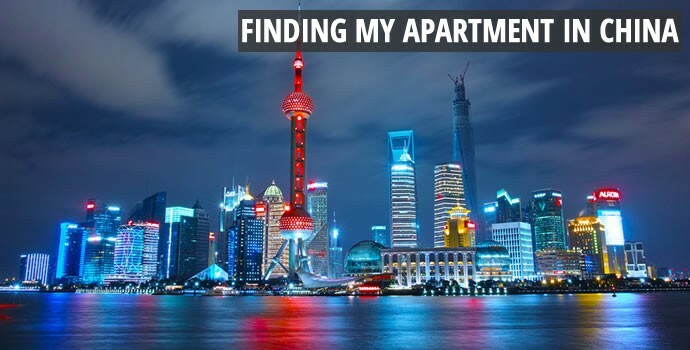 Much like teaching English abroad, everyone’s experience finding an apartment in China will also be different, but here’s the run down of my experience and a tour of my new apartment in China. First off, I LOVE our apartment (and at ~$300 USD rent a month, I REALLY love our apartment). An apartment like this would easily run over $2,000 USD per month in the United States. However, no matter how wonderful it is, there’s some stuff you better get ready for! You don’t know what to expect when you move to a new country for the first time. You try to do all the research possible, ask people who are already there what to expect, but absolutely nothing can prepare you for when you’re in the thick of things. China is one of those countries that loves to mix modern with old school and there’s a sort of charm to it all. One of the most important things to prepare for is the daunting task of how quickly you’ll have to pick out your apartment, if your school does not provide one for you. After one night in a hotel upon arriving, day two was our day to find our apartment in China. We were told by numerous people to take our time and not to worry about rushing to find an apartment, but five hours and four apartments later we signed a one year lease – and we’d be moving in the next day. A very important tip we learned before signing our lease was that if we needed anything fixed or provided for us to make sure the landlord was aware and agreed to those terms before signing. 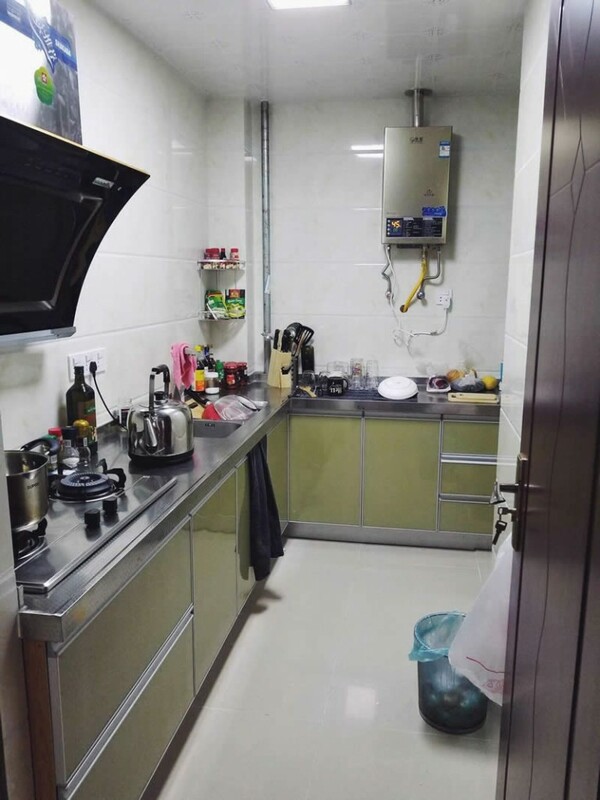 In China it’s possible to negotiate furniture in your lease; we scored two beds, a huge sofa, a TV, and a dining room table, not to mention brand new appliances – a water heater, refrigerator, two small air conditioners, and a two-burner stove top. How quickly the lease process went was an incredible change of pace from the lengthy process in the U.S. There was no credit check, no application to go through, heck there was no cleaning done before we saw the apartment. 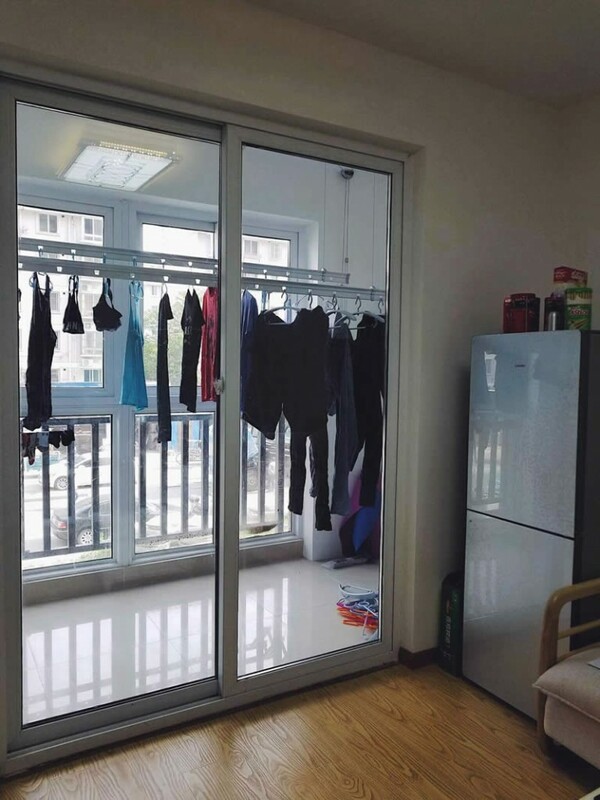 In China you often clean your own apartment when you move in. Something we were not expecting though was the lack of clothes dryer, oven, and general storage space. Our kitchen is its own separate, narrow room with a door that closes and locks, with sparse counter space and minimal cabinet space. If you are not used to using a gas stove or a hot plate as your primary means of cooking then it’s time to familiarize yourself with these methods or you will have a lot of burnt food on your hands. Luckily for me, I like doing the dishes by hand as there was no option for a dishwasher. As for the refrigerator, its home is in the living room, which we found to be pretty comical. 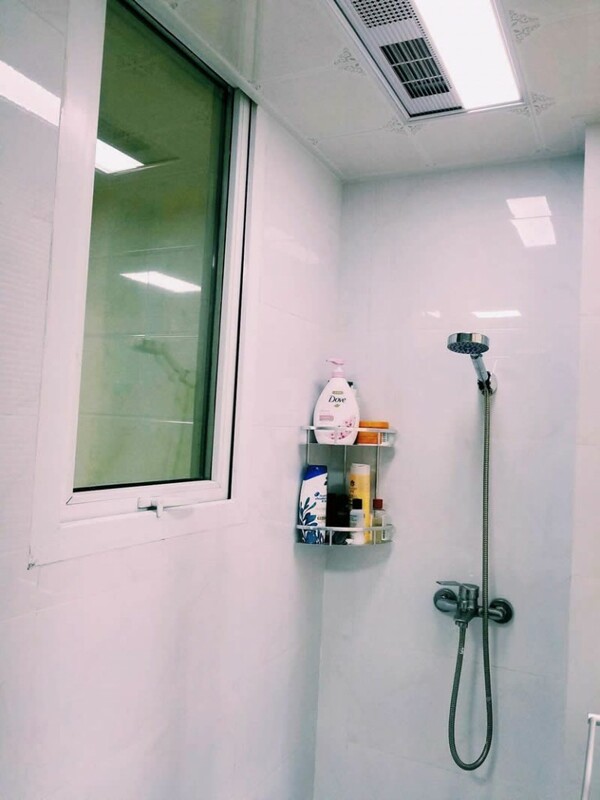 Another odd addition to the kitchen is that there is a window that opens up to the shower in the bathroom. We haven’t come up with a logical reason as to why we need to see into the shower while we cook, but it’s an ongoing mystery we hope to solve. We love the bathroom in our apartment. Something we were expecting based on some of the research we had done was the fact that it’s an open concept, and when I say open concept I mean “open”. 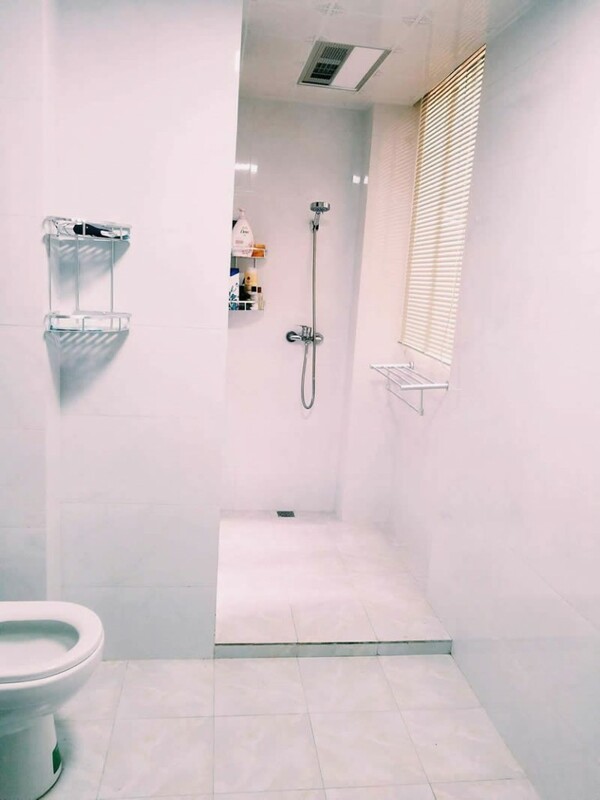 There is no door or curtain to the shower, only a slight step up, which makes the bathroom feel larger than it actually is. Another amazing feature is that there is a vent right above the shower that blows hot air on you if you so choose while you shower and it’s just magical. However, from talking to other teachers we learned that we may have gotten lucky with our bathroom – it’s very important to test your shower and ask your landlord about the water temperature and pressure before you sign a lease. Something I never thought I would have to do in my life is hang my clothes to dry. Right off the living room are sliding glass doors onto a closed-in patio area. The patio has a pulley system set up on the ceiling to raise and lower a rack where you can hang clothes on hangers. I felt silly at how in awe I was at this simple contraption to dry my clothes. Right outside the windows of the patio there is also a retractable rack where you could hang more clothes directly outside for optimum drying. Be careful they are secure though, or you’ll be picking your towels up off the bushes. Also on the patio is the smallest washing machine I have ever laid my eyes on and a utility sink. But the machine gets the job done! Not having central A/C was a bit of a surprise, but is something that’s not uncommon in the U.S. We were provided with two small air conditioning units which are mounted on the walls in both bedrooms with exhaust lines going outside. They work surprisingly well in keeping the entire apartment either warmer in winter, or cooler in spring. The true test will be this upcoming summer and learning whether clothes will be optional or not in our apartment (China gets hot!). For the ladies out there with beautiful wardrobes and closets full of shoes, I would recommend only bringing the bare necessities, as there does not seem to be sufficient closet space in China. We do not have a single closet in either bedroom, or anywhere in the apartment, but we do have one armoire that we have stuffed full of clothes. Regardless of not having some modern amenities in our apartment, it’s a place we now call home and it’s a safe haven from the exciting and unfamiliar place outside our door. We have grown to love the fridge in the living room, the window in the kitchen to the bathroom, and the somewhat quaint tasks of washing dishes and hanging our clothes to dry. 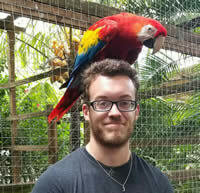 Colin caught an overwhelming case of wanderlust and decided to trade riding a desk for traveling the world. He’s been to 5 new countries in the past year and hopes to beat that number every year for the foreseeable future, globetrotting while teaching English and exploring every corner of the world.